Want to know for sure who caught that seafood you recently enjoyed, and where it was harvested? Now you can! By entering some simple information into the boxes above the map, you can FIND YOUR FISH - and in the process, learn about the community of people, starting with the fisherman and crew, whose efforts brought such succulent seafood to your table! Ready to FIND YOUR FISH? Hey, how did you like your fish today? So now that you know where your fish is from, where are you from? Please enter zipcode or country. 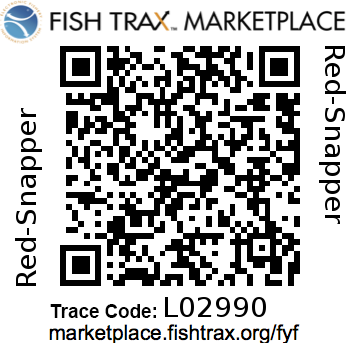 Would you tell your friends about Fish Trax Marketplace? Would you like to stay connected? Leave us your email. We really do appreciate you taking the time to do this.